East Nashville is a suburb of about 64,000 people, across the Cumberland River from Downtown Nashville. It is largely residential, with businesses, shopping centers and entertainment venues along the way. Its main thoroughfares are Gallatin Road and Ellington Parkway. Arteries lead off these main roads to various parts of the neighborhood, as well as accessing I65 and Briley Parkway. East Nashville real estate comprises twenty square miles, and its people work in the computer and technical professions, management and financial, engineering and physical sciences, health care, and construction among other professions. It has been called “Nashville’s version of New York’s East Village” by Budget Travel Magazine for its vintage shops and artistic culture, and it continues to attract artists, musicians and all types of people to cross the Cumberland and make their home here. Homes for sale in East Nashville include modern, upscale townhomes, deluxe condos and more. East Nashville families send their kids to schools ranked among the highest in the country, expertly managed by the Metropolitan Nashville Public Schools system. Nashville’s history as it pertains to the antebellum South and country music scene is fairly well documented, but East Nashville has a distinctive and unique story of its own. This resilient community has rebuilt itself a few times, after the Great Fire of 1916 and two tornados (1933 and 1998). Today, East Nashville boasts excellent highways and entertainment complexes such as East Park and LP Field (home of the NFL’s Tennessee Titans). 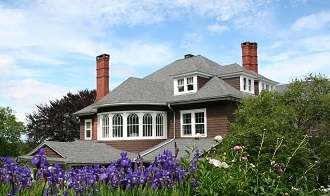 East End and Edgefield Village are well preserved and exclusive suburbs, with many classic Victorian homes. The East Nashville seeker will find it difficult to find homes for sale that aren’t near a park! Sprawling Shelby Park, established in the 1890s, includes Shelby Bottoms and Cornelia Fort Airpark, as well as ball fields, 2 golf courses and a community center. East Park is the home of the popular Hot Chicken Festival. Scenic Cumberland Park on the riverfront was once industrial and factory land, and is part of Nashville’s Riverfront Revitilization Plan. These are just a few of the many area parks to enjoy and play in. Those considering real estate in East Nashville will appreciate the proximity of attractions and things to do. Of course, there will be country music and the best food in the South, as well as museums and art galleries. But there's more going on in East Nashville! Cheekwood Art and Gardens houses a museum, botanical garden, and restaurant on the grounds of a former Southern estate. Carnton Plantation, in Franklin, is one of the McGavock family homes, who were among the important Nashville families. East Nashville’s grandest events venue is the East-Centric Pavilion, an open-air arts and cultural center with concerts and many other performances to offer residents. On a smaller scale, East Nashville locals love The Family Wash, a quaint and friendly neighborhood bat that offers up great food and live music. Most pro football fans are well aware that the Titans play their seasons at LP Field, right on the east bank riverfront. And, of course, there’s always the action of Downtown Nashville waiting just across the Roberston Parkway Bridge. East Nashville is one of the most prestigious real estate markets in the U.S. Anyone looking for East Nashville real estate should get in touch with the Nashville team of Ginger Garland and Phillip Taylor right away to find out more about this upscale city and its wealth of beautiful homes. Call them today at 615-370-8669. The time to buy in East Nashville has never been better thanks to the city’s high quality of life, prominent national profile, and prime location.